The following post was contributed by former Cannonborough Elliotborough Neighborhood Association president Claire Xidis. 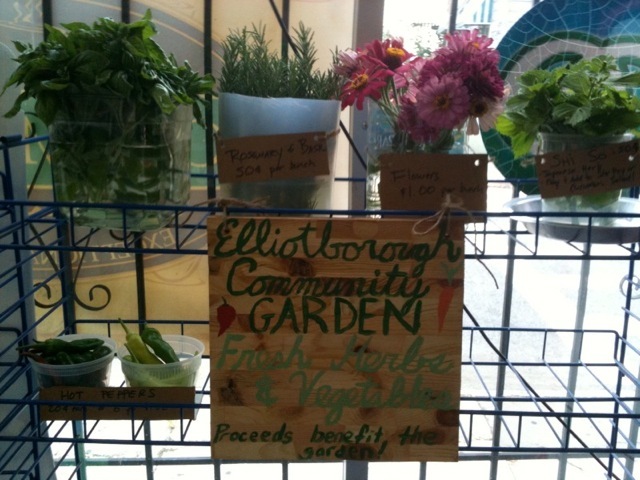 The ASHE STREET GROCERY (The corner store next to the Elliotborough Park and Community Garden @ the corner of Ashe and Line) is now selling herbs, flowers, and hot peppers from the Elliotborough Community Garden as a fundraiser for the garden. Need some basil or rosemary? Want more kick in your salsa? Stop by the market! Prices are very very reasonable – fresh bundles of herbs only 50 cents. All proceeds will benefit the garden and be used to buy seeds and supplies for the Kids’ garden and donation beds. 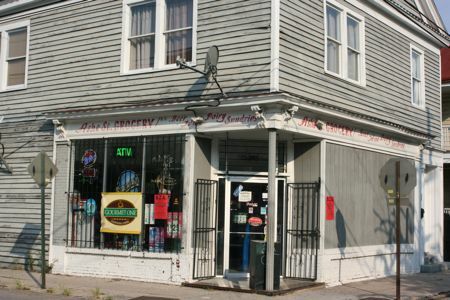 Many thanks to the Ashe Street Grocery for providing the space and supporting the garden – and for bringing more fresh foods into the store. Look for additional items to be included as the fall season progresses.